Now that I have less than two months left in my Fulbright grant, I’ve been trying to visit more places in Malaysia. 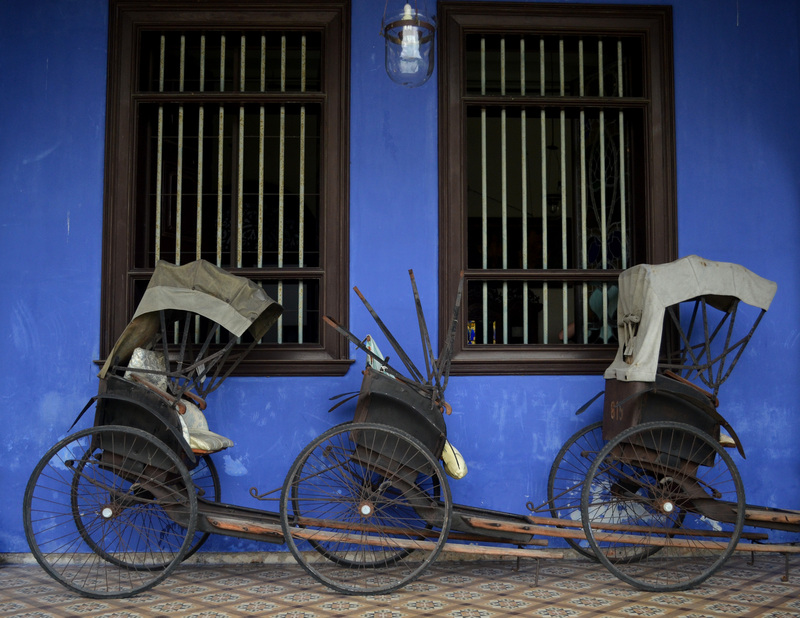 Last weekend, I went to Georgetown, an UNESCO World Heritage Site in the state of Penang. The first things I noticed as I stumbled along the streets at 4.30 in the morning after taking a night bus were the wire sculptures, like the one pictured above. They’re placed in various streets around Georgetown and mention fun facts. For example, my hostel on Love Lane is where all the businessmen kept their mistresses. On the first day, we took a tour of the Cheong Fatt Tze Mansion. We had high tea at the mansion as well, because how else are you going to feel fancy? 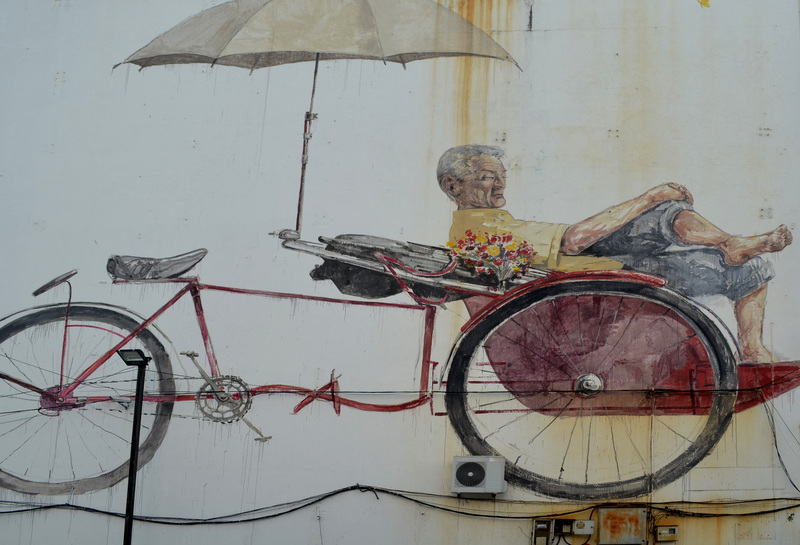 One of the reasons I wanted to go to Penang was because I heard it had great street art. There were some awesome pieces that did not disappoint. But I did have to look at a street art map to find them though, which makes me feel somewhat conflicted. 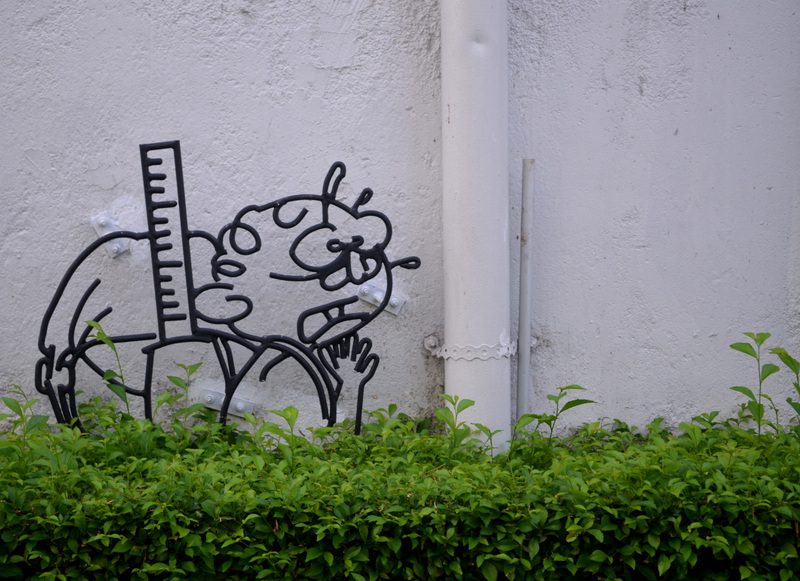 I feel like street art might be better when you just stumble upon it, rather than making it an intended goal. That’s probably just me being ridiculous though. While taking a stroll on our last day, we stumbled upon a temple. Now, I’ve traveled to a few countries in South East Asia and I’ve seen a lot of temples. 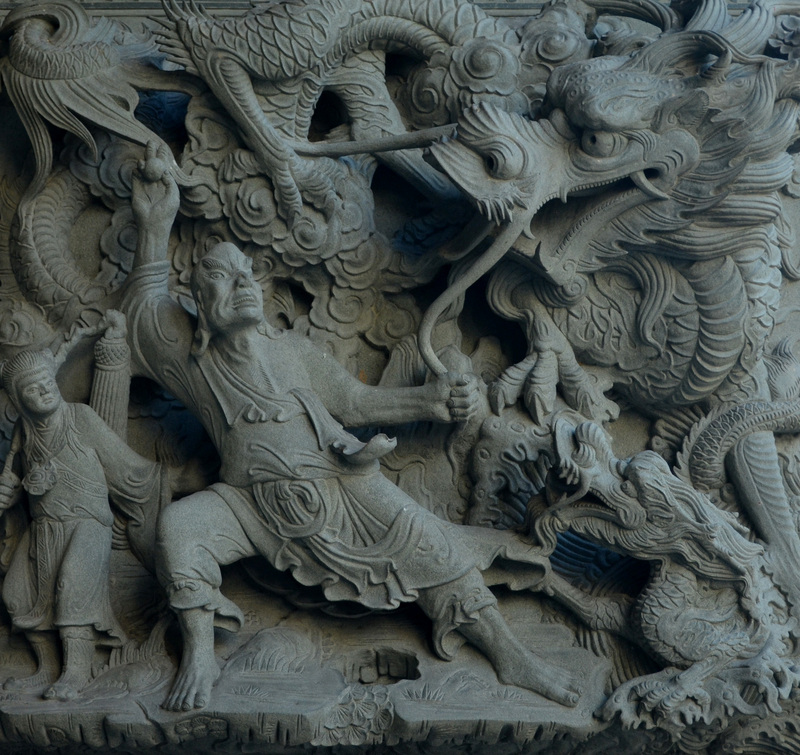 But I’ve never been in a temple covered with such intricate carvings. Scenes like this covered the whole facade of the building. Color me impressed. All in all, I had a great trip to Penang, which was only marred by a frustrating bus experience on the way back. After being told the wrong platform (by two employees) we missed our bus and customer service, being the way it is, denied us a refund. All that to say, if you’re traveling in Malaysia, avoid Transnasional bus services. This entry was posted in Malaysia, Photos. Bookmark the permalink.